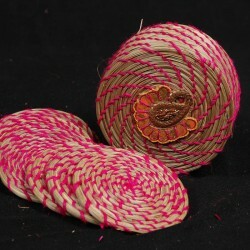 Used in homes and gifts for all occasions. 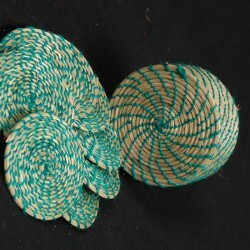 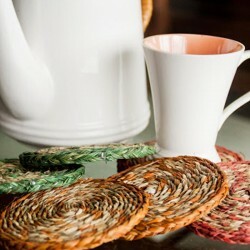 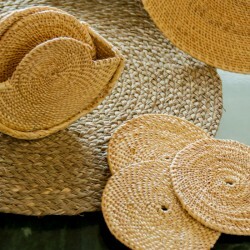 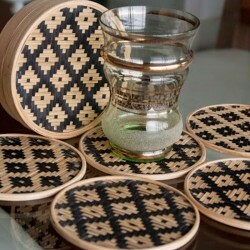 Made of Sabai Grass, is hand woven intricately into ..
Bamboo coasters.These products have a high life with minimum maintenance. 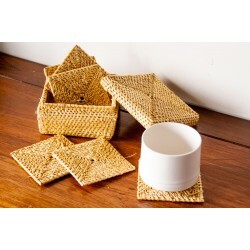 Strips of bamboo are used ..
Made of Sabai Grass, is hand woven intricately into ropes and given its final shape by the rural wom..
Made of golden grass is a squre shape coaster box with 6 pcs inside. 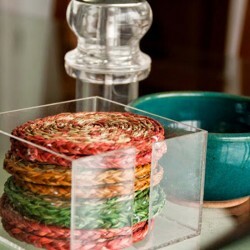 Very handy and eco friendl..